Naturally Clear Topical Spray - Metabolic Maintenance 4 oz. › Clear Blemishes & Refine Pores › Naturally Clear Topical Spray - Metabolic Maintenance 4 oz. 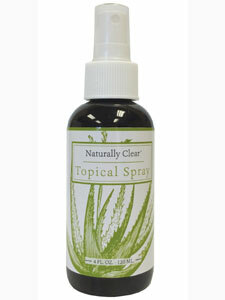 Naturally Clear Topical Spray 4 oz is infused with Niacinamide to help clear and soothe blemishes and redness. Directions: Mist onto clean skin twice daily and let dry. For best results, use after cleansing skin.